I have had a few major doctrinal and ideological shifts since becoming a Christian at the age of 21 in 1986, which in itself was a huge shift from my family’s agnostic, scientific, anti-faith perspective. 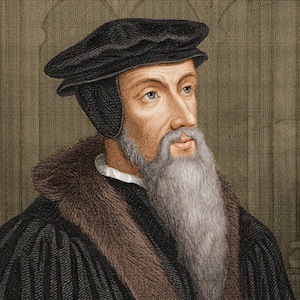 In 1990, I abandoned the burden of Arminian holiness for the grace and peace of Calvinism. I am often surprised at some Christians’ strong negative reaction to Calvinism, but perhaps they have experienced the fatalistic hyper-Calvinism I described in Orthodox Heresies, 7 false doctrines of the Church. For me, trying to keep my salvation through holiness was an unbearable burden, but the rest described in Hebrews 4:1-8 is the result of seeing all the work – salvation, sanctification, and perseverance – as God’s doing. The second was in 1993 when I abandoned Christianity in order to learn from and adopt many helpful truths and practices from psychology, Buddhism, and yoga, and even A Course in Miracles. I benefited much from that exploration, and still practice yoga to this day. I’ve also posted many articles on the errors of Neo-Fundamentalism, as compared to healthy faith. The third was in 2001 when I returned to Evangelical Christianity with a firm conviction that, despite the existence of common truth in many faith traditions, Christianity’s revealed truths were true, and its worldview was the most helpful and accurate, and led to the most human flourishing. The fourth was early in 2012, where my first class at Fuller Theological Seminary, as well as my outside reading, convinced me that there was a Christian Center, and I moved from my far right position to a center-right position, which was no small shift. You can listen to a sermon I delivered on this subject entitled Adopting God’s Priorities, which forms the latter part of a Series I have begun (but have not completed). The fifth is happening right now, in late 2012, where my unresolved theology of hell is resolving into a somewhat controversial position – that of Conditionalism, short for Conditional Immortality, also known as Annihilationism. If you want a primer on this, check out The Case for Annihilationism with Glenn Peoples, part of the new podcast from RethinkingHell.com. I’ll update this post as my journey continues, but I intend in the meantime to document the last step.